A short-form, scripted series where we follow an energetic young woman through the streets of Paris to find the best food and places in a city she knows like the back of her hand, but can still easily get lost in. Alice has lunch at Pavillon des Canaux, one of the coolest cafes in the world, and discovers an unlikely surprise. 2. Where Did My Eggs Go? Alice is cooking for her friends! Realizing she doesn't have any eggs to make the omelet she wanted to, Alice scrambles (!!) to find a solution. Alice tries to enjoy the perfect afternoon snack after a hard day of classes. Before Alice can focus on her photography challenge at hand, she finds she first must have a pita... and another... and another. Alice goes on a candy hunt to end all other candy hunts. Sweet tooth required. Alice is after a very unconventional piece of food for a very unconventional potluck. Packed for a trip, Alice first makes a stop at La Pointe Du Grouin, but will she make her train in time? Alice has a date at a secret location. Relying on a treasure map she takes to the streets, but will she find it? It's springtime in Paris, but nature is just out of Alice's reach. Where must she go to find it? 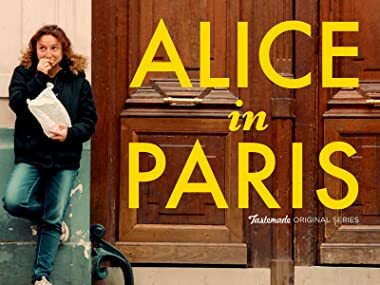 Alice finds herself lost in a Parisian nightmare. What's the perfect antidote to wake her from her slumber? On the first day of her internship, Alice gets sidetracked while picking up a special lunch item. Tasked with bringing cheese to a picnic, Alice must first cross through a park teeming with obstacles. When Alice discovers a shop that makes deceivingly sweet-looking savory pastries, she decides to pull a prank on her friend Rhoda. With a grocery list in hand, Alice sets out to the market, only to find herself overwhelmed by the people and produce. Exploring a custom seafood restaurant, Alice takes over as the chef until she is exposed. 19. To Grandmother's House She Goes? Off to visit her grandmother by bicycle, Alice decides on a new route. Alice has a date and must find the right place for her perfect match. When Alice's niece runs off while she's babysitting, Alice sets a trap to lure her back - with pastries. How does Alice cheer up her friend with a broken heart? Alice gets stuck with a box of gourmet donuts for the day when her friend's train gets delayed. Where does Alice go to cool down from the sweltering Paris heat? How does Alice decide to spend her last day in Paris before summer break?